Princess BATMAN is really shaping up. I think we are closing in on that elusive final design. ...this is week zero on my big graphic novel deadline. I can't do Princess BATMAN (or anything, really) on week zero. The deadline is a week from today, Monday the 26th. I have 20+ pages to go. I'm on lockdown-crunch-time. It's the official Princess BATMAN desktop wallpaper! Tile it up so the princesses are tiny--so CUTE! You could tile it up and print it out as wrapping paper, or REAL wallpaper! The possibilities are endless with Princess BATMAN! I'll be back next Monday (better make that Tuesday, I need a day off) with more Princess designs, and exciting anecdotes from my week zero adventures. 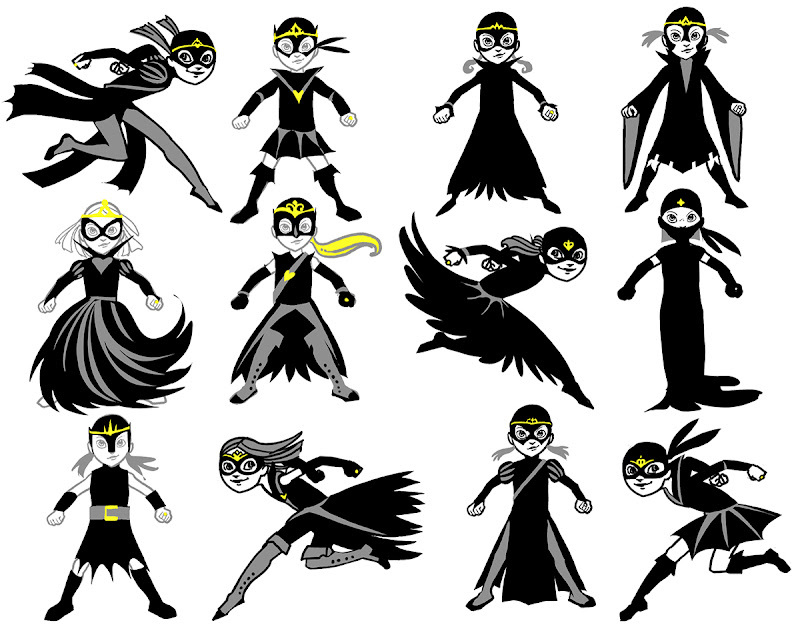 I like seeing all of the Princess Batmans in one place. They should all be cousins and work together to fight crime! It would be like a swarm of Princess Batmans! Evil doesn't stand a chance. I love you, Princess Batman!